Unusual visionaries and their cults- A summary of the most unconventional private revelations of the past 100 years. The extraordinary claims of persons claiming to be male and female Messiah's, along with their revelations claiming four and even five Persons in God, and that God is both male and female. Born in 1839, Cyrus R. Teed from upstate New York became a medical physician and established a laboratory in which he carried out alchemical and electrical experiments. During one of these experiments in 1869, wherein Dr. Cyrus Teed was reportedly accidentally electrocuted, he claims to have seen a vision of a "beautiful woman" who allegedly revealed to him the secrets of the universe, along with allegedly giving him a special mission detailed below. After this purported vision, he changed his first name to "Koresh" (the Hebrew word for his first name "Cyrus") and after a number of years of travelling in New York, Chicago and other parts of the USA proclaiming his new religious and temporal theories, he eventually established the Koreshan Unity Settlement or "New Jerusalem", a Utopian community in Estero, Florida, which was based on his purported private revelations and beliefs, which later came to be called "Koreshanity". Over the years, the number of people living in his community swelled to about 250, though quite a few followers reportedly lived outside the community. Some of the key Koreshan tenets were immortality through reincarnation, celibacy, that God was both male and female, and most particularly the "hollow earth" theory, wherein it was believed that the universe is a rotating sphere inside the earth, with the earth as a shell essentially wrapped around the universe (see photo below), thus proposing that humanity actually lives inside the earth, and not on the outside. 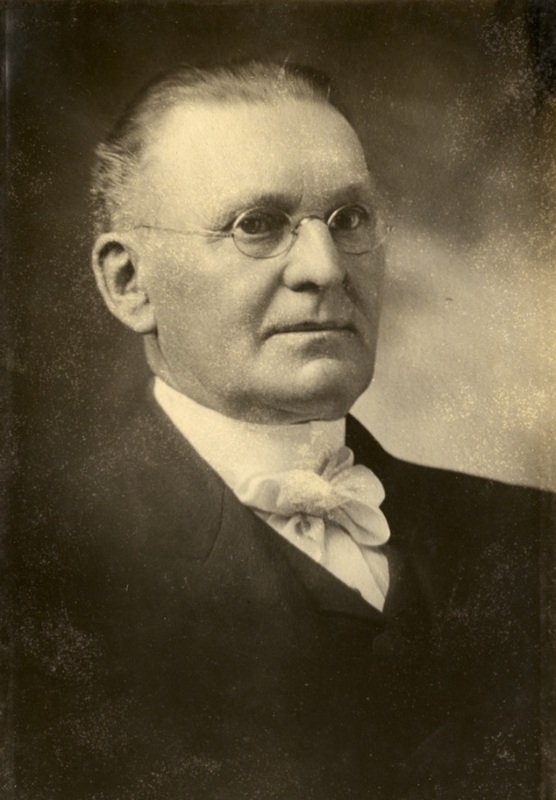 As for Cyrus Teed's explanation of God being both Male and Female, he cited the Fourth commandment of ' Honor thy Father and Mother' as evidence, stating "The father and mother in this passage denotes the Father-Mother God". However the most extraordinary claim of Dr. Cyrus Teed (or "Koresh" as he was to be called) was that he claimed to be the 'seventh' messianic leader, and that Jesus was the sixth, a revelation that reportedly given to him by the 'beautiful woman' in a vision in 1869. However the belief that Koresh was the "seventh messiah" ended rather abruptly when Teed unexpectedly died on December 22, 1908. 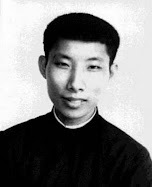 His followers, who believed that he would resurrect and that afterwards both he, and his faithful, would be taken up to heaven, as he had predicted in his book "The Immortal Manhood" and also in a book published by the Koreshian Community itself entitled "Reincarnation or the Resurrection of the Dead." Therefore, immediately after his death they kept him in a bathtub and accompanied him in a constant vigil, awaiting his resurrection or second coming, which they deduced would happen three days later on Christmas day. When no resurrection/reincarnation occurred, the local authorities forced them to bury his corpse on December 27, and this event essentially marked the beginning of the end of the Koreshan Unity Settlement, though it would continue to survive through some of its members for more than 50 years after Teed's death. In 1910, a hurricane destroyed his tomb which was on the southern end of Estero island, and washed his coffin out to sea. In 1961, when there were just four community members left, their leader, Hedwig Michel, deeded the 300 acre "utopia" to the State of Florida, where it is now the 135 acre Koreshan State Historic site. This story begins in 1919 and takes place in Bedford, England where a group comprised of primarily middle-aged women came together to study the life of an alleged 19th century visionary named Joanna Southcott (1750–1814). To summarize this early part of the story, our subject, Mabel Barltrop (1866-1941) eventually became the person that the group believed was Shiloh incarnate, a female Messiah whose coming Joanna Southcott foretold in her prophecies back in the early 1800's. 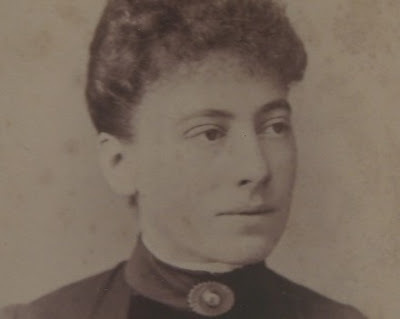 This Mabel Barltrop, who became known to her followers as "Octavia", (because she was believed to be the eighth prophet in the Southcottian line) was the mother of four (now grown) children and the widow of a Anglican priest in the Church of England named Arthur Henry Barltrop (1856–1906),--a priest whom she later said was actually "Jesus"
Four Persons in God? The "Quaternity"? There was God the Father, God the Mother (the Holy Spirit), Jesus the Son, and Octavia the Daughter. Thus for the believers in the group, the Trinitarian God of traditional Christianity was now reconfigured to become a "Quaternity" of four Divine "Persons" in one God. 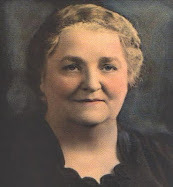 Numerous single and widowed woman throughout England soon joined her, forming a Community called the "Panacea Society", that grew to include seventy residents, thousands of followers, along with an international healing ministry reaching some 130,000 people. -Her back garden was the actual physical site of the original Garden of Eden where Adam and Eve had lived, and the town where she lived (Bedford, England) was to one day become the "New Jerusalem", which is one of the many parallel's to Dr. Teed's story above. In preparation for this grand event, Mabel bought a huge house that could sleep the 24 Anglican bishops of England, and she furnished it with the finest furniture and room arrangements. 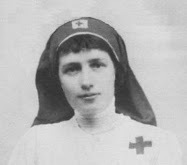 Mabel and the Panacea Society even took ads out in newspapers, bulletin boards and posters advertising all about the 'Secret box' in an attempt to persuade the Anglican bishops to gather all together and open the box. 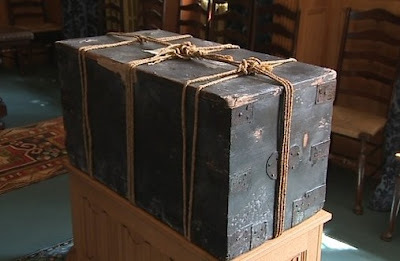 The story concerning this "secret box" became so well known in 20th century British culture that it was even satirized on the comedy show "Monty Python". 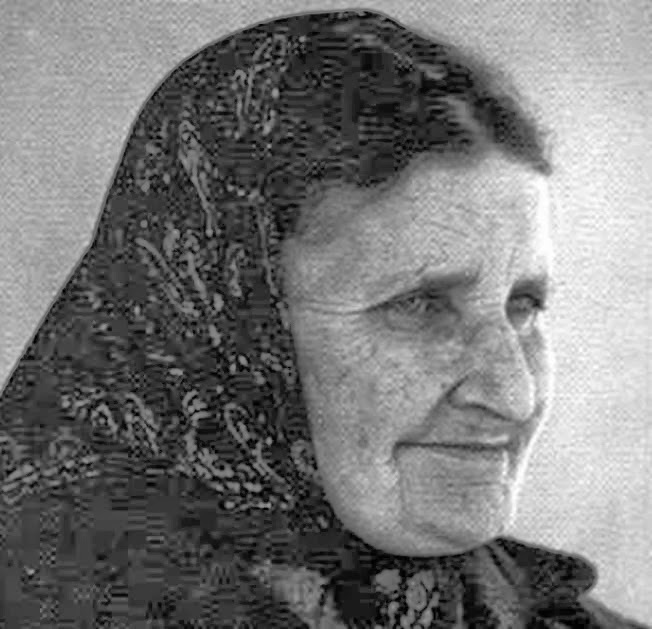 -Some of the alleged Divine powers that Mabel believed she possessed was the gift of healing. To this effect, she would physically breath directly into tap water, which was then sprinkled onto squares of cloth, which were then cut into small relic sized pieces by her followers, and spread about to various persons hoping for cures. -Mabel also purchased an additional house for the second coming of Jesus, who she said was to come specifically to Bedford, and her followers were to be prepared to make Him personally welcomed. As the years passed, the Society decided to rent the house, with a special agreement with the tenants who were told only they may have to vacate the property at very short notice. -Mabel was borderline fanatical is what concerned formal etiquette. She wrote: "Any person who makes an undue noise when eating toast, and declares they cannot avoid it, must leave off eating toast and must not take any other food which causes them to make a noise." Another strange eating practice was that the Panaceans were required to eat date pudding on Palm Sunday, because dates grow on palms. Octavia appointed twelve female apostles—one from each of the signs of the astrological zodiac—and washed their feet in imitation of Jesus. She would celebrate her own form of mass and eucharist in what she called the ‘upper room’—a room in her house which served as the place of worship before a chapel was eventually built. Octavia believed that she received daily messages from God by the means of automatic writing. 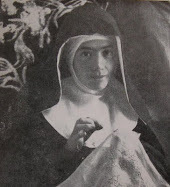 She sat down every afternoon at 5.30 p.m. to receive the purported message while in a trance-ecstasy, and after writing it she then took it straight to the chapel, where it was read as one of the lessons in evening prayer. 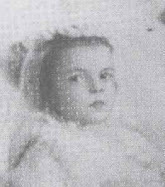 Like in the death of Dr. Cyrus Teed in the first story above, the greatest shock for the Octavia's followers certainly must have been Octavia's own death; for she was unexpectedly found dead in her bed one morning, October 16, 1934. "The shock was not just that of discovering a dead body," writes Jane Shaw in her book, "It was the horror of discovering that the beloved divine daughter had actually died in a community that promised immortality." And again like in Cyrus Teed's story, her followers kept vigil with her body for three days in the expectation that Octavia would arise from the dead, before finally burying it in what one can only presume was great disappointment and disillusionment. How about Five Persons in God? 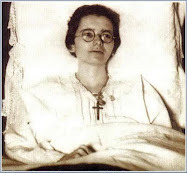 The story of Mother Paul-Marie and the "Quinternity"
But if one thinks Mabel Barltrop's "Quaternity" of four persons in God is quite a theological stretch, then one surely will be even more floored with the excommunicated Catholic group "Army of Mary" of Canada, and their belief that their foundress, Mother Paul-Marie (Marie-Paule Giguere, 1921-2015) is the Daughter of God and the Fourth "Person" of a purported five Person "Quinternity". Specifically, the members of this Community believe that the "Quinternity" is made up of God the Father, the Mother (Blessed Virgin Mary), the Son, the Daughter (Mother Paul-Marie) and the "True" Holy Spirit, united together forming one God, thus essentially adding two Persons to the Christian belief of the Holy Trinity. 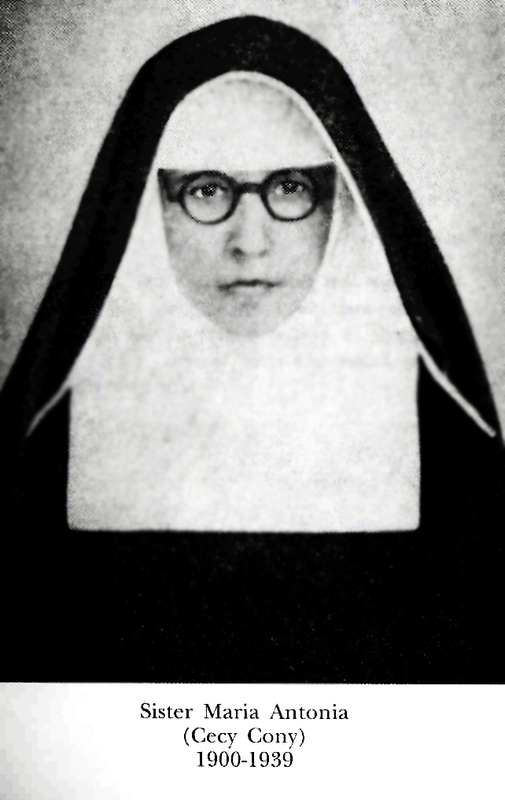 It should be noted however that this belief in the purported "Quinternity" was a recent addition to the Army of Mary Community itself, which back in the 1970's actually gained the initial support and official approval of Archbishop Maurice Roy of Quebec, whom back at that time officially declared the Army of Mary a "Pious Association". 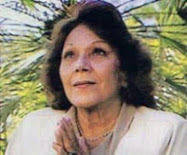 A surprising private revelation came in late in the 1970's, when in the groups newspaper Marie-Paule Giguere declared that she was "The Lady of All Peoples", a revelation that purportedly came from "on-high". 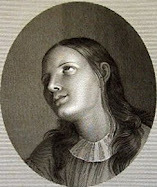 Another early example of an astounding revelation concerning the person of Marie-Paule can be found in her autobiography "Live of Love", Vol XII, page 102, where concerning her sufferings at that time, and also having foreseen certain trials that were forthcoming in her 'mission', the Lord purportedly tells her in an inner locution: "Accept; the fate of humanity hinges upon your 'fiat'. 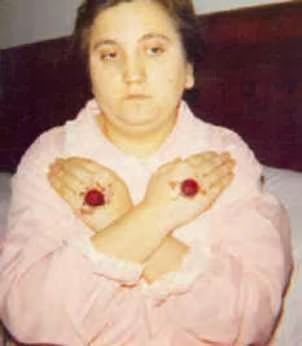 In addition, over time through her private revelations it was revealed and determined that she reportedly was the "Coredemptrix" and "Daughter of the Immaculate". 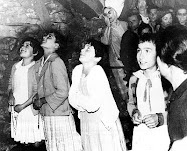 Beginning in the 1980's however, the Army of Mary and its associated 'Community of the Sons and Daughters of Mary' began to lose favor with Church officials, particularly in Canada. Serious Theological difficulties between the Catholic church and the proposals and conclusions of two theologian authors in the Army of Mary/Community of the Sons & Daughters of Mary, eventually led to serious divergence from the Catholic hierarchy, culminating with an official Excommunication issued by the Vatican in 2007. Some may also be quite surprised to discover that the list of those persons throughout the centuries who have claimed to be the Messiah, or God incarnate in some form or another, numbers well over 100 persons, many of whom Wikipedia references in their article entitled "List of Messiah claimants". 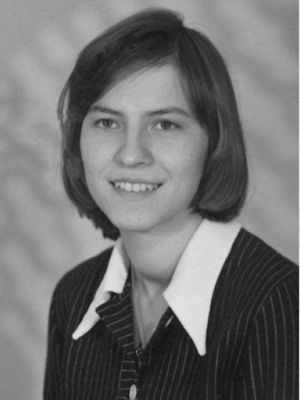 We find in all of these extraordinary cases of alleged men and woman divine incarnations, that because they are directly centered upon individual cults of personality--that is, certain specific self proclaimed messianic type individuals--that the cult of followers surrounding them eventually dwindles to zero, thus ending in what is always a limited run time. In Dr. Cyrus Teed's case, the last remaining leader of the community, Hedwig Michel, deeded the colony property to the State of Florida in 1961. It is now the Koreshan State Historic Site. 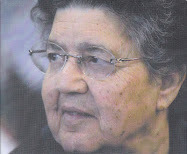 As for Octavia and her Panacea society, the last follower, Ruth Klein died in 2012, putting an end to the society. Its assets, amounting to approximately 25 million pounds, are now looked after by the Panacea Charitable Trust, which awards grants for research into education, poverty and sickness. 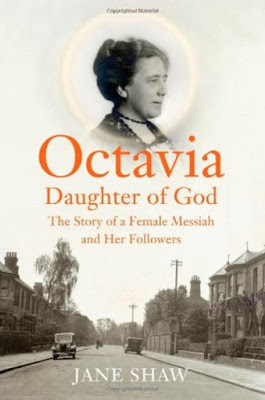 A Panacea Museum has been opened to tell the story of Octavia and her followers, but they are keeping the lid closed on the biggest mystery, that of the contents of the "Secret box", which Mabel spent most of her lifetime protecting and promoting. And thus, looking over the historical record, we see that the vast majority of visionaries and mystics turn out to be false. So, concerning such persons, the best approach is to use the wisdom of Gamaliel and be extremely cautious and prudent about their private revelations and claims. 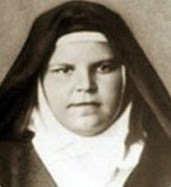 For even the most devout and intelligent persons have at times been mistaken about such charismatic leaders for a time, such as in the unforgettable story of Sr. Magdalena of the Cross, or more recently in the life of the great Pope of recent memory, Pope St John Paul II, who in a infamous 1994 letter that went viral which referred to Father Marcial Maciel, the enigmatic founder and leader of the Legionaries of Christ, as "An efficacious example to youth", when already prior to this commendation it had long since been revealed that Fr. Maciel had sexually molested young boys and men on numerous occasions, not to mention having fathered at least one child--scandalous facts for which Fr. Maciel was later publicly ordered by the Vatican "to conduct a reserved life of prayer and penance" after an investigation by Cardinal Ratzinger in 2006. In fact, Pope John Paul II had often publicly and privately supported Fr. Maciel over the years, and took him along as a key adviser on his trips to Latin America. So the point here is that one should be very cautious and prudent concerning such persons. ***Support this website! 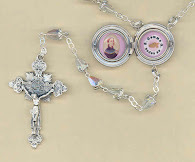 Check out the relic lockets and rosaries in the Mystics of the Church Gift Store. Several more persons from recent decades could be added to this false messiah's list, like the "whacko from Waco" David Koresh, Jim Jones, and a few others. Some years back, I got involved with the Focolare Movement, and for a while things were okay as it was always about emptying oneself for Jesus and being at the service of others. But soon, I began to become troubled by the local leadership's almost fanatical obedience to Chiara Lubich - the then head of the movement. I was told that if you felt your very name wasn't right, you could write to Chiara and she would offer a different name. People in my group even wrote to her asking for advice on naming their homes, and she wrote back telling them the name. I don't know if it was a leadership issue or something with the movement itself, but I soon left it. 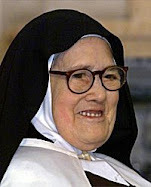 I understood allegiance to Christ, but I felt Chiara Lubich, who was alive then, was being elevated to saint-status, and it troubled me. Was I wrong about this movement? Yes, I am familiar with the Focolore movement as in recent decades it has had a pretty significant following here in the USA. It is certainly in the top 5 or so Catholic movements here in North America, along with Cursillo, the Charismatic movement, the Legion of Christ, Regnum Christi and the Army of Mary. Yet we see however in the last two above-named examples how while they initially found favor within the Catholic church, for various reasons their founders/leaders eventually became significantly at odds with the official hierarchy of the Catholic church. There is a lesson in this, I think. 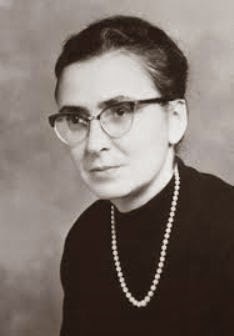 As to Focolore movement and its founder Chiara Lubich specifically, I personally have not come across or received any significant concerns, though for sure it is not immune to criticism--after all, what movement and founder isn't?. As you know, it seems to have found very significant support within the Vatican, as reportedly quite a few Cardinals/Bishops/Priests are "focolarino". Have you heard of Roy Legere, the author of "Be My Son"? A very bizarre individual and yet priests and nuns were caught up with his so-called Divine Intimacy. Thanks for your comment and the information concerning Roy Legere---the name definitely ran a bell, and when I Googled it I came across an article that I had read a number of years ago concerning the group Roy Legere had founded named "Apostolic Formation Center For Christian Renew–All". According to this article, it seems Mr J. Roy Legere's group "Apostolic Formation Center For Christian Renew–All" was expelled from St. Thomas Aquinas Parish in West Warren, MA in 1973 "when the parish's pastor, Father Gerald Durocher, became concerned that founder J. Roy Legere had deluded members with personal revelations he said he received from God and the Blessed Virgin." 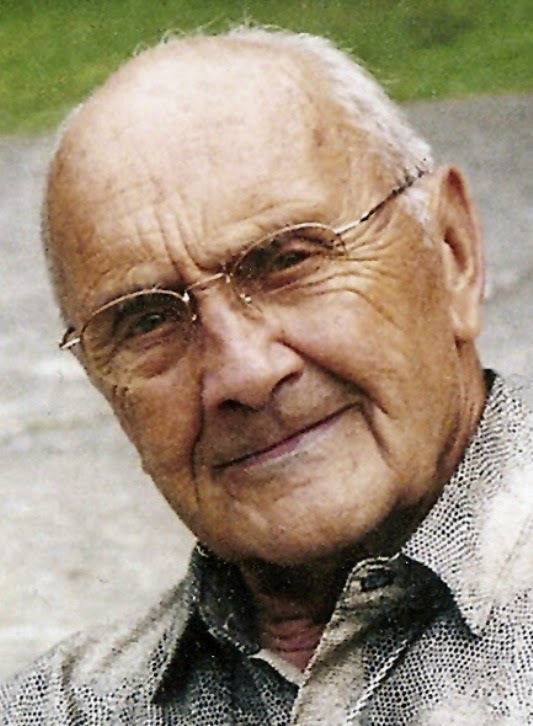 The article further goes on to say "Roy Legere, who died in 1979, led a network of prayer groups in various northeastern states from the parish. Father Durocher acted [against the movement] after Legere told followers to relocate to the area, and await the Second Coming of Christ." 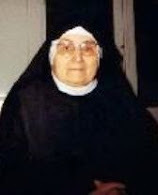 After Roy Legere's death, the new leader of the group was Roy Legere's son, Paul, who was referred to as "the anointed one" by cloistered Dominican nun Sister Marie Louis Bertrand, who served as one of J. Roy Legere's chief spiritual advisors." So yes, you are quite right to point out that the movement founded by Mr. Roy Legere was "very bizarre" indeed! Christ Himself worned us about individuals that would proclaim themselves Messiah. It is also know that the next coming of Jesus is not as human (His mission was done), but as Christ Judge, hence it will be something so spectacular that the whole world is going to see it. Now, if one knows these things, so simple to understand, why would anybody believe in a new Messiah??? I urge everybody to read the lives and works of the saints: there you can see how they are so humble, that it is impossible for any of them to proclaim themselves messiahs... And with their examples, teaching and works, you can Love and Know our God better, and understand the value of holy mass, comunion, prayer, love... God teaches us using the saints. A true saint does not boast of the gifts he\she receives. Where there is not HUMILITY, God is not there! It is this simple! This is how one can discern true from false. Fascinating article. Many facts I was unaware of, particularly the last paragraph concerning Pope John Paul II. The author could have included false traditional Catholic cults such as Holy Rosary Abbey and felon phony priest Ryan St. Anne Gevelinger-Scott. Many outlandish cults that grew on the fringes of the Catholic Church are still operating today. Holy Love Ministry, led by Maureen Sweeney-Kyle in Ohio, is one; the cult of Maria Divine Mercy is another. The Catholic Church as formally condemned both, Holy Love in 2009, MDM in 2014. "Sherpa" Charlie Johnston was recently debunked with the failure of his "Presidential Prophecy, covered elsewhere on this site. Johnston's archdiocese has labeled his visions "false" and warned Catholics not to attempt reinterpret his messages earlier this month. False prophets crop up in every age. Most certainly there is a new one waiting in the wings even now. Possibly possessed... remain obedient to what the church dictates!!! Myself and thousands visited the late Atlanta Visionary Nancy Fowler receiving messages at her farm. Opinion makers say she was a fake. They were never there, which is typical of opinion makers. My wife and I witnessed a polaroid print taken during this event that immediately contained Our Savior Jesus, & The Blessed Mother's beautiful image appearing on this print. We began to cry! The aroma of roses were immediately present, but only to a few. Opinion makers will probably say we were delusional, or it's a manifestation of evil. Thirty years ago a photo was taken from a plane, & the color negative given to me for printing. The awesome photo was of Jesus floating in the clouds. No Fake here. 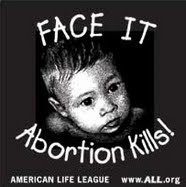 Many believed the image true, Yet a few had a difficult time believing. "The Book of Truth", given by Jesus for five years to a working mother in Ireland, is also disliked by Catholic clergy, (and this comment section) as a fake. Sad that opinion makers never read this beautiful "Book of Truth", or over a hundred prayers given to the world. Why do people conclude with negative judgements & opinions on such a serious situation, when their knowledge in the matter is weak. But, do to theological opinions from others, say it's a fake! Always pray first to discern if this given information IS from heaven, then carefully read the entire messages and prayers to understand it's Truth. Give others the same opportunity. "Opinions" many times, no matter the source, can be WRONG, thus keeping many of God's children from reading His Word given to mankind. I have learned to not dismiss every Visionary or Prophet just from opinion only, but read and discern myself. We all try to understand the "Truth" and false information that exists in our world. Understanding when Our Lord Jesus, God The Father, and Mary the Mother of Salvation, communicates to us through others, can be a heavenly moment! I thought I would like to set the record straight or at least give the other side of the argument, in defence of such a beloved Saint. I would like to add that I have been greatly blessed over the years by many of the articles on your website, Glen, which have introduced me to many saintly men and women, I would not have otherwise read about, who have helped me in my journey with God. Thanks for the information Nick! I do know that going way back to the mid 1990's my own regional newspaper, the Hartford Courant, wrote several front page stories detailing Fr. Marcial Maciel Degollado sexual misconduct with a number of young men--a group of which who had come forth at that time. These stories made international news, and this group of men--several of which were respected professionals in their fields--repeatedly petitioned several Vatican offices to investigate back at that time (1990's), so in all truthfulness I honestly find it very unlikely that Pope John Paul was not at least aware of these allegations. I think that he simply discounted them as fabrications. One can Google this subject and find a slew of news reports detailing Fr. Maciel's sexual misconduct that go back to the 1990's. With all due respect to Pope John Paul II secretary, Cardinal Dziwisz, during the canonization investigations for John Paul he definitely has been shown to have a very 'selective memory' concerning certain details which could be seen as unfavorable, often seemingly fashioning and twisting the more unpleasant details concerning JPII always in a more favorable light, and/or leaving out these negative details which, however unfavorable, are an important part of the story. Nevertheless, one can see in the story how Cardinal Dziwisz insisted that Pope John Paul II never should have met with Fr. Maciel--but the truth is, he more than just met with him, he supported him and his work in the Legion of Christ over several decades--and this long after the stories had broke out in many corners concerning Fr. Maciel's sexual improprieties with young men and also with mistresses. In then end, I personally love Pope St. John Paul II, but at the same time I don't hesitate to recognize the fact that he made a very poor and unfortunate error in judgement concerning Fr. Marcial Maciel Degollado. Pope John Paul's public support for him and his Legion of Christ, and his statement that Fr. Maciel is a "effacacious example for youth" will always be an unfortunate part of his otherwise extraordinarily beneficial pontificate. We all make mistakes and this was certainly one of his---the lesson is that even Pope's make errors in judgement concerning spiritual leaders/persons like Fr. 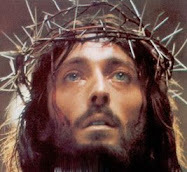 Maciel, who seem to be authentic on the surface, yet in reality are not of God. Thank you very much for your reply and the additional information. I agree with your fundamental point that even someone like St John Paul II can be deceived and mistaken about the holiness (or lack of it) of another, as he clearly was in this case. Also, having now read further about this, I think you are right to say that it is highly unlikely he didn't know about at least some of the allegations against Fr Maciel at some point, though what and when exactly is not so clear. 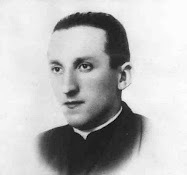 Without trying to falsely justify his actions or lack of action against Fr Maciel, which only God can judge, I think it is important to state that these were, at the time of his suppport for Fr Maciel, only allegations and it seems that he was advised by those around him, as it turns out falsely, that they were fabrications made by enemies of the Legionaries of Christ. You and I'm sure many of your readers, including myself, love John Paul II and so I hope it is worth clarifying all of this for everyone. God bless you and your loved ones too. I was in Regnum Christi at the time of all of this mentioned above, and Nick is correct. We all thought that Father Maciel was being wrongly accused and, most importantly, persecuted. Now we all know the true story. Holy Rosary Abbey with Ryan St. Anne Scott-Gevelinger is very much a cult. He's defrauded devout elderly Catholics to the point of destitution for decades. He's just completed his latest felony sentence for weapons charges, admitted to being a male prostitute during a time period he convincing donors he was in the monastery, and has publicly claimed Blessed Fulton Sheen raped him in Milwaukee in 1976. Watch for his new incarnation starting up soon.